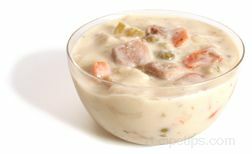 A food dish that has a crust as the base, which holds fillings such as fruit, pudding, ice cream, meat, and vegetables. 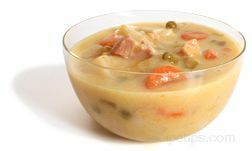 It may be a sweet dish served for dessert or a savory dish served as the main course. 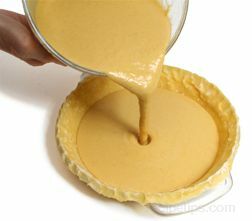 The pie can have a bottom crust only or both a bottom and top crust. There are several different types of crust that can be used, such as a pastry, puff pastry, graham cracker, cookie crumb, or meringue crust. 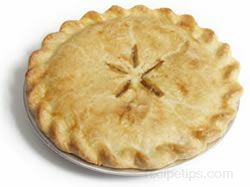 Mashed potatoes may also be used for the crust of some savory pies. 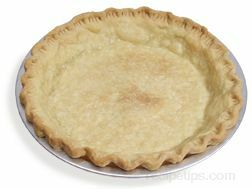 When working with pie ingredients that may have a tendency to setttle and excessively moisten the bottom of the crust, use egg whites to prevent the crust from becoming soggy. Prior to adding the ingredients, such as fruit, beat egg whites thoroughly and brush the whites onto the unbaked bottom surface of the crust. 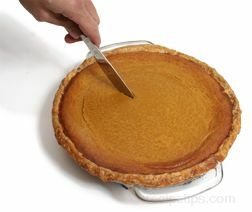 The whites will act as a moisture barrier to keep the fruit juices within the crust instead of escaping out the bottom.